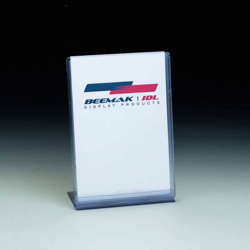 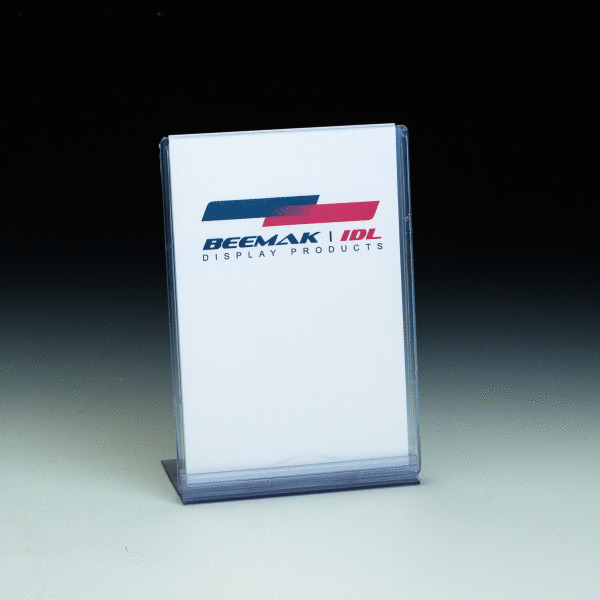 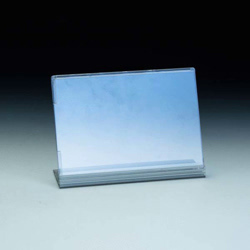 Our TRU-VU® slant back countertop sign holder fits horizontal 6"w x 4"h literature. 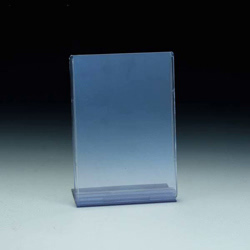 Detachable Base Clear Styrene Top entry - sealed on 3 sides. 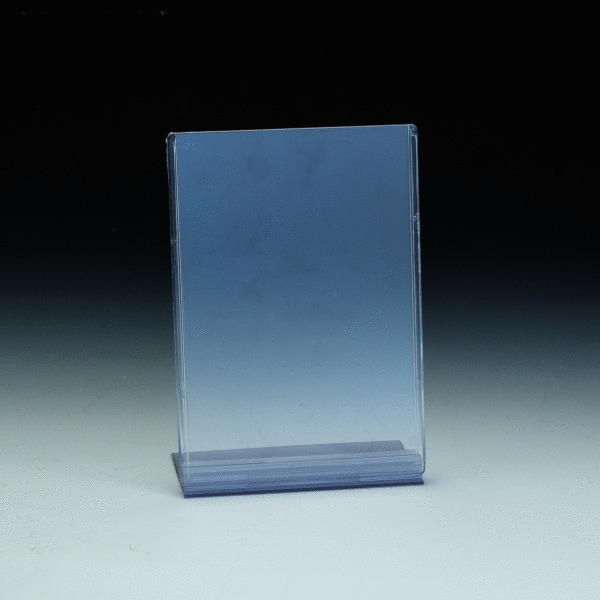 Slot in base for easy print removal. 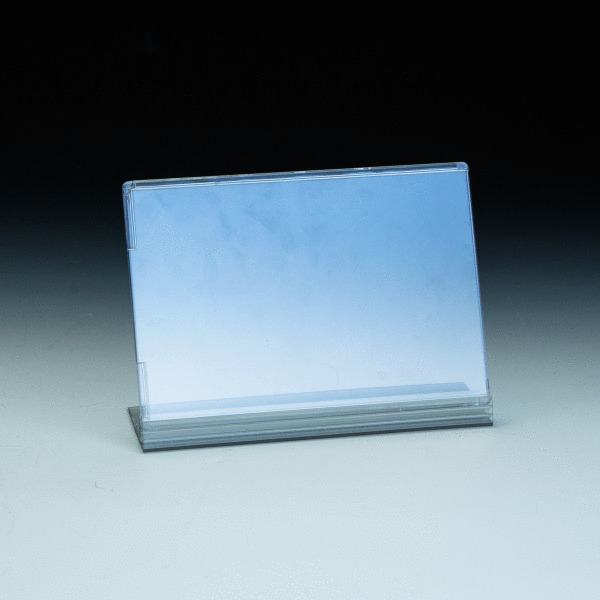 Use these removable bases-ship your tru-vu holders FLAT. Superb appearance - all edges radiused & polished. 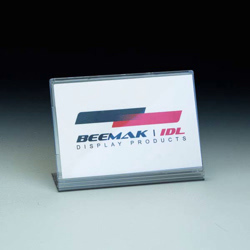 Printed inserts are totally enclosed.